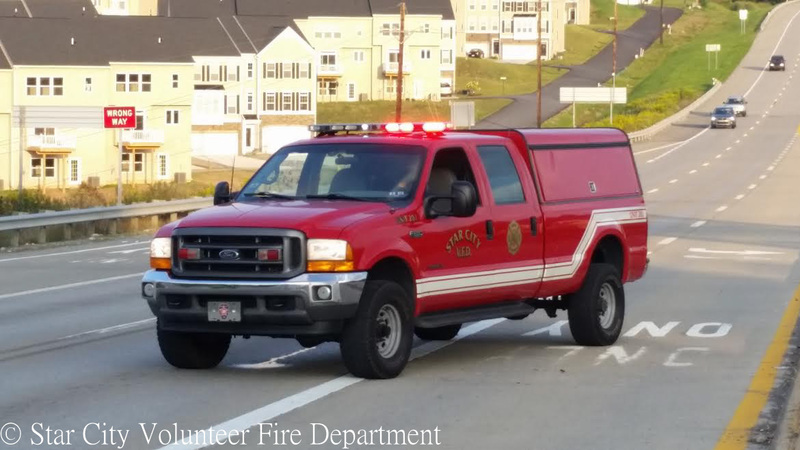 Located next to Morgantown, WV and West Virginia University (WVU), the Star City Volunteer Fire Department provides primary fire and rescue services to the town of Star City and many surrounding unincorporated areas, including: Chestnut Ridge, Bakers Ridge, Chaplin Hill, Rt. 705, Fieldcrest, and Interstate 79 from milepost 155 to the Pennsylvania state line. 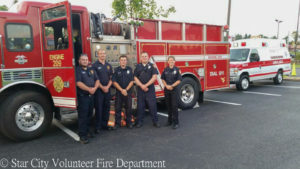 In 2010, Star City Fire Volunteer Fire Department expanded its services to the community with the development of an EMS division. The EMS Division provides non-emergency transports as well as 9-1-1 service to the county as one of four responding agencies. 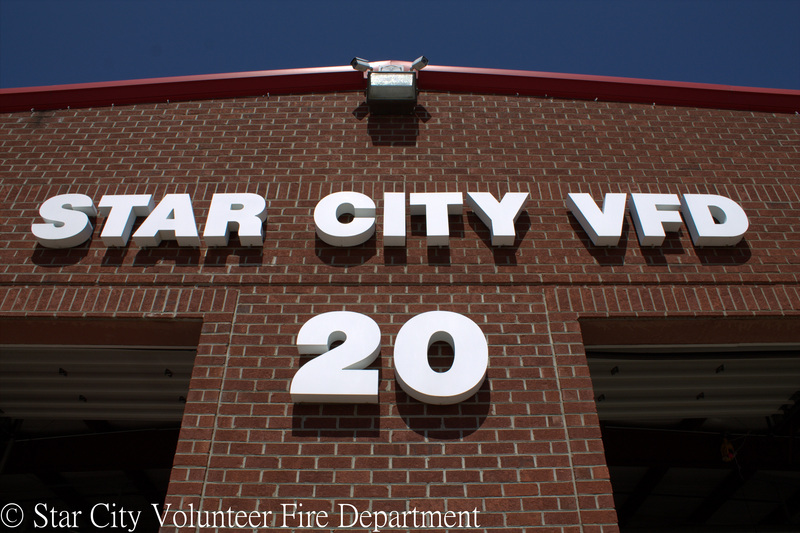 Company and Station 20 operate out of a single station located at the intersection of University and Springdale Avenues in the town of Star City, West Virginia. SCVFD responds to approximately 1200 calls for service per year. The department is led operationally by the Fire Chief and administratively by the President. The EMS division is led by a full-time EMS Chief administrator/Chief and EMS Assistant Chief. Membership is available to citizens at least 16 years of age who are willing to donate their time and talents to helping our community. Membership categories are available for those who wish to pursue firefighting as well as for those who wish to help with administrative and fund raising activities of the department. A majority of the active membership is comprised of West Virginia University students from many different areas of the country. More information about becoming a member can be found on our recruitment page. All active members are expected to be at the station for weekly training(s), maintenance and monthly meetings. Members must complete at minimum 16 hours of “duty crew” participation monthly. The Fire Chief is elected from among eligible members every two years. The Chief is responsible for all operational aspects of the department. The Chief then appoints all other officer positions from among qualified applicants based on the needs of the department. The selection process requires submitting of an application and an interview by the Chief. The Chief also has the option of testing for his officer positions. All officers must meet the requirements specified in the State code and virtually all of our officers far exceed the minimum requirements. There are 11 volunteer, 1 partial paid/volunteer and 1 career/paid department in Monongalia County. J.W. Ruby Memorial Hospital is one of two level-one trauma centers in West Virginia and is located on the Evansdale Campus of West Virginia University. Healthnet 1, operated by Healthnet Aeromedical Services, is based out of Morgantown at their base near the Morgantown Mall. Monongalia County is located approximately 75 miles south of Pittsburgh, PA and 150 miles northeast of the West Virginia state capitol, Charleston. Two major highways intersect in the county. I-68 runs from Hagerstown, MD and connects with I-79 outside Morgantown, and runs from Pittsburgh, PA to Charleston, WV. All Fire/EMS/Police in the county are dispatched through the Monongalia County Commission by the Monongalia Emergency Centralized Communications Agency (MECCA). MECCA also handles all 9-1-1, police, fire/rescue, and EMS communications for the county. Assignment to emergency calls are predetermined based on response time and distance through a CAD system. All fire and medical calls are voice dispatched and tone alerted through radio dispatch.